Nigeria is ours, Nigeria we serve. Make Nigeria a great nation. Hail Nigeria, our great nation. Every member of the Service Corps (hereinafter referred to as “member”) shall subscribe to and sign a copy of the National pledge and NYSC pledge before the Chief Judge during Swearing-in Ceremony at the orientation camp. Any member who fails or refuses to subscribe to and sign the National and the NYSC pledges shall be tried by the Camp Court and, if found guilty, be liable to be decamped and sent out of the orientation camp. The member shall only be allowed to come back for service to join the next batch for the orientation exercise only if he is ready to subscribe to sign the pledges. Attend regularly, and participate, fully in all official engagements on the field, at lectures and all places of work. The member shall only be allowed to come back for service by joining the next batch for the orientation exercise. Any member who leaves the camp without the permission from the State Coordinator shall be tried by the Camp Court and, if found guilty, be liable to be decamped and sent out of camp. Not gamble within the premises. Any member who gambles shall be reported to the police for prosecution. Any member who flouts this rule shall be reported to the police for prosecution. Not smoke, chew anything whatsoever, make or answer calls, while on parade and at any other time, not smoke in a prohibited area or throw lighted cigarette butts or lighted matches about the premises carelessly. Any member found to be drunk shall be tried by the Camp Court and, if found guilty, be liable to extra drill and/or confinement to the camp rehabilitation room for thirty (30) minutes. Not receive visitors in the camp except on Saturdays, Sundays and public Holidays. Any member who flouts this rule shall be tried by the camp court and, if found guilty, be liable to extra drill and/or confinement to the camp rehabilitation room for thirty (30) minutes. Any member who brings animal pets to camp shall not be registered and if already registered, shall be decamped. Any member who takes part in riot or mob action shall be reported to the police for prosecution. Not take part in or organize night parties in camp without the written permission of the State Coordinator. Any member who fails, refuses or neglects to comply with this rule shall be tried by the Camp Court and, if found guilty, be liable to extra drill and/or confinement to the camp rehabilitation room for thirty (30) minutes. Not be in possession of Hard drugs like cocaine, Indian hemp, heroine etc. Not bring vehicles or motorcycles into the orientation camp. Any member who brings forged document for registration shall be reported to the police for prosecution. Any member who organizes or engages in any form of secret cult activity shall be immediately suspended and the case referred to police. Such member shall be allowed to return to service only if he is exonerated by the police investigation report. Not address the press on any policy issue without the prior written consent of the State Coordinator. Any member who addresses the press on any policy issue without the written consent of the State Coordinator shall be tried by the Camp Court and, if found guilty, be liable to extension of service for thirty (30) days on half pay. During Orientation Course, the adjudicating body shall be the Camp Court. Drills and confinement to camp rehabilitation room (serving as penalties) should be administered during camp leisure. Any member who reports late at duty station shall be tried by the Corps Disciplinary Committee and if found guilty, be liable to extension of service on half pay double the period he is late to station. Any member who reports late at duty station shall be tried by the Corps Disciplinary Committee and if found guilty, be liable to extension of service on half pay double the period he is late to station. Any member who discloses official information shall be tried by the Corps Disciplinary Committee and, if found guilty, be liable to extension of service for a period not less than thirty (30) days without pay. 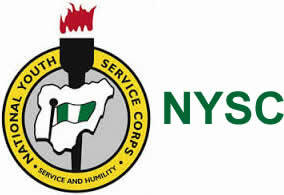 Not take legal action against a fellow Corps Member, official of the scheme or employer without first informing the Director-General for an amicable settlement of the matter and also complying with S.20 of the NYSC Act. Any member who is late to the place of secondary assignment for more than thirty (30) minutes is liable to stern warning in the first instance and if he continues to be late for four weeks, shall forfeit his allowance (pro-rata) for seven days. Not solicit for fund from individuals, state and local government, companies and multinationals or use any part of his personal allowance to execute a project without the consent of the State Coordinator. ii. Extension of service for twenty-one (21) days without pay. Any member who loses the NYSC identity card is liable to a fine of five hundred naira (N500.00) which shall be receipted. Follow the right channel of communication. ii. Extension of service for twenty-one (21) days with half pay. i) Extension of service for a period not less than twenty one (21) days without pay. ii) If the fight results in injury, the culprit shall bear the cost of medical treatment. Any member who assaults NYSC official or any officer in his Place of Primary Assignment shall be liable to extension of service for a period not less than twenty one (21) days without pay. Not take part in partisan politics. (a) Prior reference by the Government or Military Doctor. Except in the case of the 21-day vacation granted as a terminal benefit on completion of the service, leave is a privilege granted at the discretion of the Director-General in accordance with the leave scales laid down by the National Directorate Headquarters from time to time. Except in the case of vacation leave, total number of days that can be granted leave, for whatever reason, shall not exceed 14 days in any service year. Subject to the exigencies of the service, a member may be recalled from his leave at short notice. On rejoining the post from leave, it shall be the duty of each member to acquaint himself with all instructions issued during his absence. Where a member on leave requires medical attention, he shall report to a Military or Government Hospital and shall be treated on production of his identity card. Where, in the absence of the facilities referred to in sub-paragraph (g) above, a member is compelled to avail himself of the services of a private medical practitioner, he shall be responsible, in the first instance, for the fees payable and shall obtain a receipt thereof as well as a medical report from a Military or Government Hospital. If the circumstances are recognized as requiring such service, the National Directorate Headquarters may authorize a refund to such a member at such rates as the Director-General considers fair and reasonable. A member who has availed himself of the facilities in sub-paragraph (h) and (i) above must tender a medical report or discharge certificate on disposal of the case as evidence to return to his post. A married or an unmarried pregnant member shall be entitled to twelve weeks maternity leave. During this period of leave, she will be paid full monthly allowance. She will not, however, be entitled to the annual leave of 21days (terminal leave). A member who desires to get married during the service year shall be allowed to perform the marriage ceremony in any place of his/her choice. Any member who is absent for continuous period of 3 months within the service year shall be considered to have absconded and shall be declared a wanted person. During the service year carry on his person, his identity card wherever he goes and shall on request present it to the appropriate authority. At the end thereof, surrender it to the State Coordinator. A record of Secondary Assignment Assessment by the Community Development Inspector documented on NYSC Form 2(C). The fact that this action has been taken should be endorsed on the report itself. When a member has any cause to make representation in respect of any part of his report, he shall do so through his Employer to the State Coordinator. All communications including those for relocation from a Corps member shall always be endorsed by his Employer. Any member who infringes any of the forgoing provisions shall have the benefit of appearing either before the camp court during the orientation/passing-out periods or the State Disciplinary Committee at any other period(s) during the service year. The Court/Disciplinary committee shall be established in each camp or State Secretariat to determine breaches and mete out appropriate penalties. These Bye-Laws may be cited as the National Youth Service Corps Bye-Laws. NYSC Call-up No. of Corps Member……………………………………….